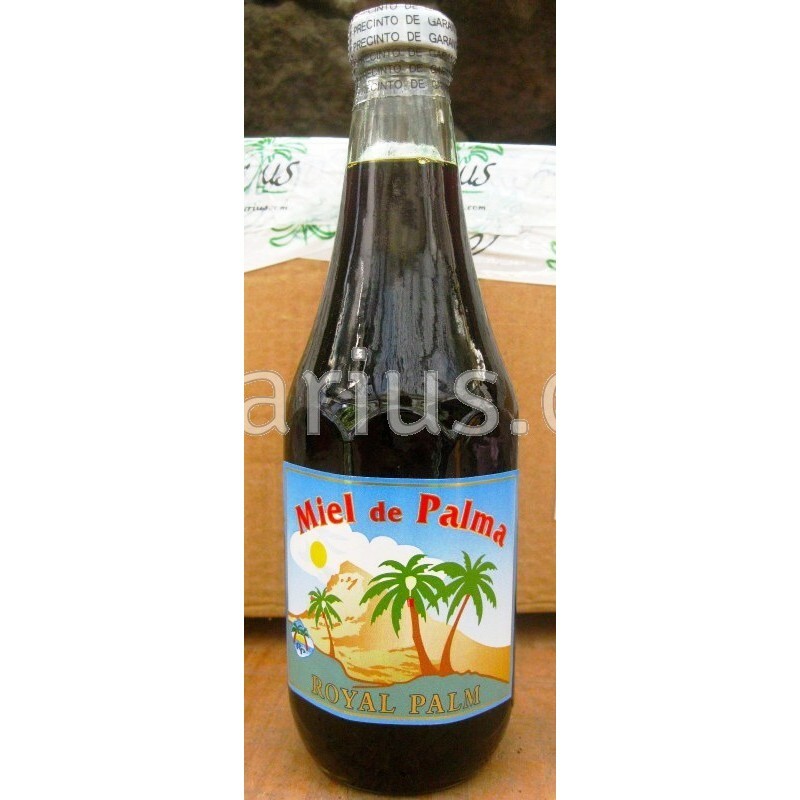 In the Canary Islands, palm syrup (miel de palma) is produced from the Canary Island Date Palm (Phoenix canariensis). 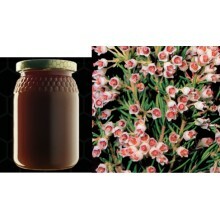 Palm honey is not Bee honey. It is the concentred sap of the Canary Islands native palm, Phoenix canariensis. 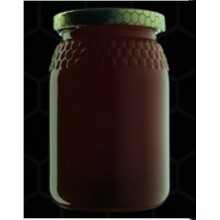 It is thinner and darker than bee-honey. 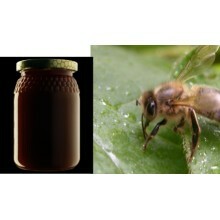 Both are natural sweeteners, but there is a big difference in taste and content. Miel de palma is reminiscent of Maple Syrup. It is used in the Canaries for Pastries, Pancakes, Ice Cream, Fresh Cheese, Yogourt, Liqueurs, Cakes, Gofio or Sweetener for Tea. The sap, known as guarapo, is collected from a bowl-shaped depression cut into the crown of the tree. As guarapo spoils quickly in sunlight, the harvesting is done overnight. Every evening during the harvesting season, the guarapero (farmer) prepares each tree. 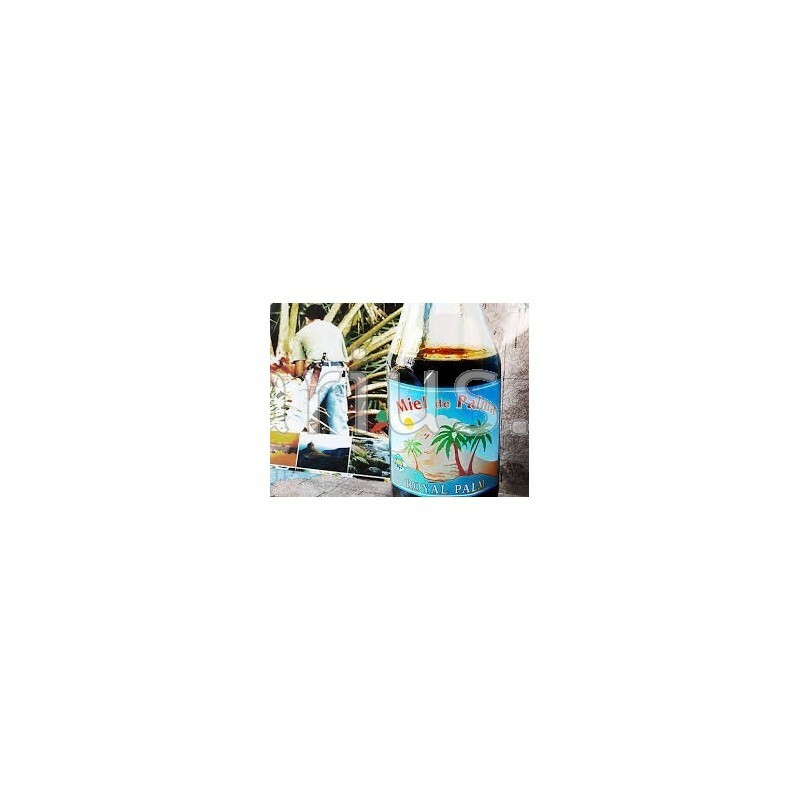 He climbs to the top of the tree, often using a ladder, uses a sharp knife or chisel to trim the bowl to remove surface crust and open the pores, and hoists a bucket into place beneath a pipe or channel leading from the bowl. Early the next morning, he returns and collects the filled buckets, containing ten or more litres from each tree. Visit the Palm Honey Section in Our Blog, where you can learn more and see videos about how the sap is exracted from palms.